This isn't a formation that can be understood in isolation. It is usually seen as part of a Chinese formation, in cases where a 3454 enclosure is thought insufficiently ambitious. 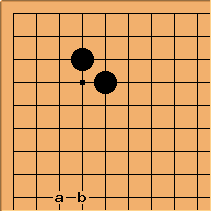 Therefore there will typically be a black stone at a or b. The exchange of for is in effect White's prerogative here. 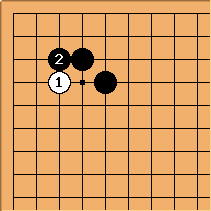 After that White may try to make life or sabaki on the left side, taking into account the other black stones.